The Patriots Day star revealed that he's a fan of the singer on the Late Late Show with James Corden. By Matt Juul·	 1/11/2017, 8:01 a.m. If you’re wondering what artists make it onto Mark Wahlberg’s go-to airport playlist, it’s more than just Marky Mark and the Funky Bunch. The Patriots Day star stopped by the Late Late Show with James Corden on Tuesday night and revealed that he’s actually a big fan of Adele. Wahlberg admitted to the late-night host that flying stresses him out, so he likes to listen to her album 21 to calm down. 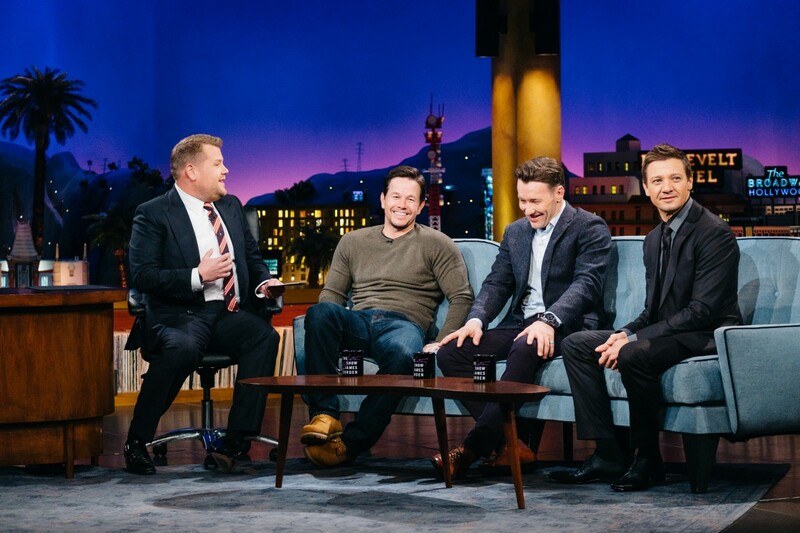 Aside from gushing over Adele, Wahlberg also got the chance to reminisce with actor Jeremy Renner while hanging out on the Late Late Show. The Avengers star recalled his first time meeting Wahlberg in a bathroom at the Golden Globes shortly after the release of the Hurt Locker. Renner thanked Wahlberg for giving him a nice compliment at the time and for welcoming him into the club of Hollywood A-listers.